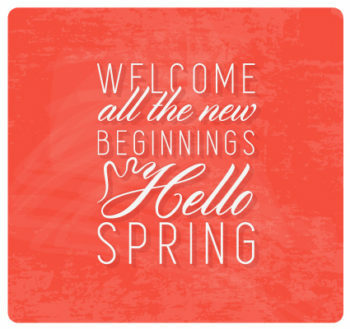 Today marks the beginning of Spring. After weeks of frigid temperatures and unpredictable weather, the new season is a welcome change. We look forward to sunshine and the rejuvenation of life lived in full bloom. During this time of year, the convenience of our location enhances the exceptional quality of urban living for our residents. Residents of the Quarters at Cambridge love the accessibility of where they live. With many local vendors within walking distance, they can expect to find everything from fresh flowers, to great food and even spa services close to home. Choosing where to live is about more than real estate. It means purposefully embracing a lifestyle experience. Be good to yourself during this season of renewal. Choose to experience the Quarters at Cambridge.